I’m back with Honda for another year; really I’m part of the family, and I can’t wait to see what the new Fireblade SP2 can do! I know the old model like the back of my hand and have taken a lot of my TT wins with the old girl, so I can’t wait to get out on track and try the new machine out. I have a good feeling about this year and think we have a really good package to show that we mean business. I of course would like another TT win and I would quite like my lap record back! I always say when it’s broken that the lads are just borrowing it and I hope this year that this is the case. I am sad to say bye to the old Fireblade; I have a lot of history and good memories with that bike, but testing the new model can’t come soon enough and neither can the race season. I’m excited to have Guy as my new team-mate; we’ve enjoyed many a racing battle over the years and I’m looking forward to seeing what we can both do. Neil [Tuxworth] has been talking to me for a while about joining the team, but I had a lot of thinking to do before I committed and said yes. I spent a lot of time on my push bike to and from work, thinking about what to do. I didn’t want to grow old regretting not giving the Honda a go, and the more time passes since making the decision, the more time I’ve thought it is the right decision. Honda is a great team and the Fireblade has always been a weapon on the roads, so with the new bike, I‘m keen to give it a go. We’ve got a busy testing schedule coming up and I’ve put some other stuff off to make time. 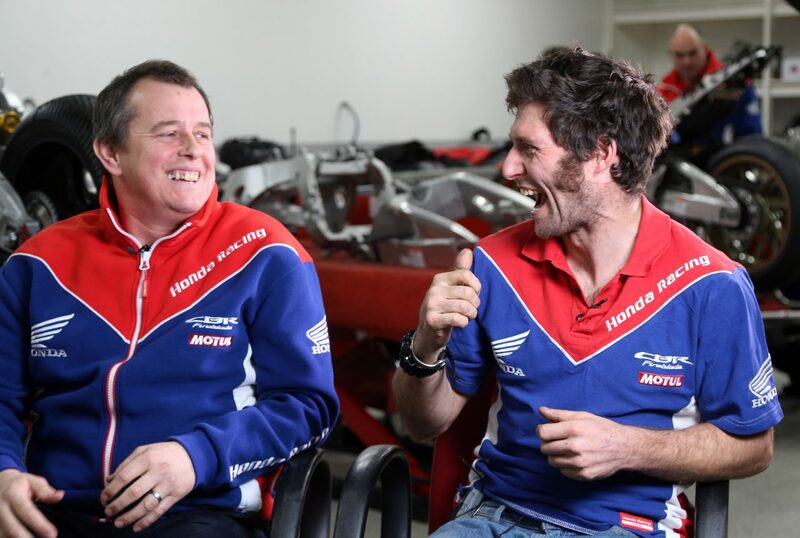 John [McGuinness] is the man, I’ve got massive respect for him and I’m looking forward to racing on the Fireblade against him. We have two new members joining the Honda Racing team this year with Guy signing and the new 2017 Honda CBR1000RR Fireblade SP2. John is part of the furniture really, but it’s great to have him back with us for another year – it wouldn’t be the same without him! I really feel with Guy and John, and of course the new Fireblade, that we have a strong team ready to tackle the roads this year. Guy is hungry for his first TT win and John wants another and his lap record back, so this mixed with the new CBR1000RR means we should be in for some exciting racing action. The new Fireblade SP2 is so important to the team and also Honda and it’s vital we continue its legacy at the TT and add more to its 23 wins. We’re all looking forward to testing and I think everyone from the riders and the team are all excited to get on track and put the new machine through its paces. Way cool, no.......sub zero cool.....two of my favorite TT riders on the same team......perhaps finally, Guy will get his first win on the Isle of Mann TT. No one deserves it more. Will he be riding a bike with a number 8 on it I wonder? Would be the comeback story of the year for Guy to win the TT after that s**tstorm of an accident. I keep waiting for them to rename the TT the Mcguinness time-trials...lol. The guy's a monster.